Started out in 1990 in the small village of Linneryd in southern Sweden. After spending time in various metal bands, Jimmy Lundqvist and Fredde decided to start a death metal band called Entrails. Shortly thereafter, Tobbe and Billy joined the band and they began to rehearse like maniacs in a converted woodshed. Their main idea was to follow the scene that Stockholm brought to light around the time with bands like Dismember, Entombed, Grave and many more that cemented the brilliant Swedish death metal sound from T. Skogsberg’s Sunlight studio. Unfortunately, all attempts to record a demo at the time did not produce satisfactory results.In 1994, half of the line-up decided to move on and do other things, and by that time Entrails were put to sleep as an official band. Lundqvist continued writing songs in the following years, but even that was put to rest in 1998.In 2008, the band was finally reformed. Lundqvist found some old Entrails-recordings in a tape collection and, in a moment of nostalgia, decided that they deserved to be released as they should have been originally. With modern recording technology, the first Entrails demo could finally take shape.Lunqvist spent several weeks choosing songs for the new release. The title, and overall theme, is Reborn. Lundqvist recorded all of the instruments except for the vocals. Vocal duties were eventually helmed by Jocke Svensson after some recommendations from friends. In the summer of 2009, Entrails first demo was finally out under the title Reborn. A fully loaded demo with 10 songs and an intro taken from the original material with only some minor changes in riffing and lyrics.Reviews turned out to be awesome and Lundqvist didn’t hesitate and immediately began working on material for the follow-up album. Again, a lot of music from the old demo tapes were recycled and became a part of the next Entrails demo. This demo was named Human Decay, and once again Jimmy recorded all the instruments with Jocke handling the vocals. 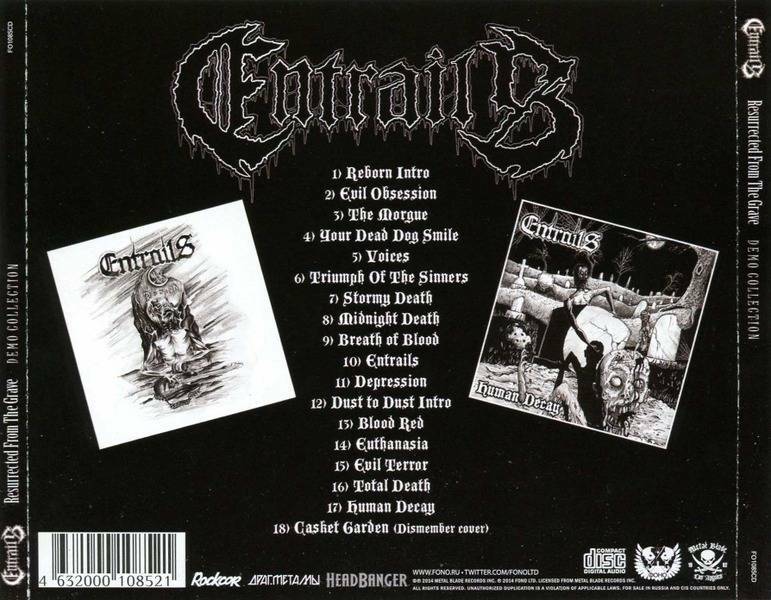 In the winter of 2009, the Entrails demo was released consisting of five songs, an intro and a cover of Dismember’s "Casket Garden".Following the release of the demos, offers from various record labels started to drop in and in early 2010 Entrails signed to the German label F.D.A. Rekotz. Jimmy realized more members had to be found to make Entrails a real band. Old friend Matte Nilsson joined as a guitarist and also Jocke joined on a permanent basis as singer/bassist. Fredrik Widigs joined for the recordings as a session drummer. In April 2010, everything besides the drums was recorded and produced in Jimmys own studio and then got mixed and mastered at Unisound by Death Metal guru Dan Swanö. In June 2010, Entrails first full-length was released under the title Tales from the Morgue. An album featuring songs taken from both demos with a sound that had similarities to all those glorious Swedish death metal albums recorded in the early nineties at the infamous Sunlight studios.Once again, the reviews were great and Entrails became more and more popular among those digging and enjoying old-school death metal. After the release of the debut album, Entrails welcomed Adde Mitroulis as the permanent drummer in the summer of 2010. In late October, Entrails did their first show ever with this new line-up at a local place in Växjö and in November they played a German mini-tour with four dates and also had Tales From The Morgue released on 12" Vinyl the same night they played the K17 in Berlin.In May 2011, Entrails started working on the follow-up album. The drums were recorded at a local studio and everything else was recorded and produced at Lundqvist’s own studio. The mix/mastering was handled again by Dan Swanö at Unisound. 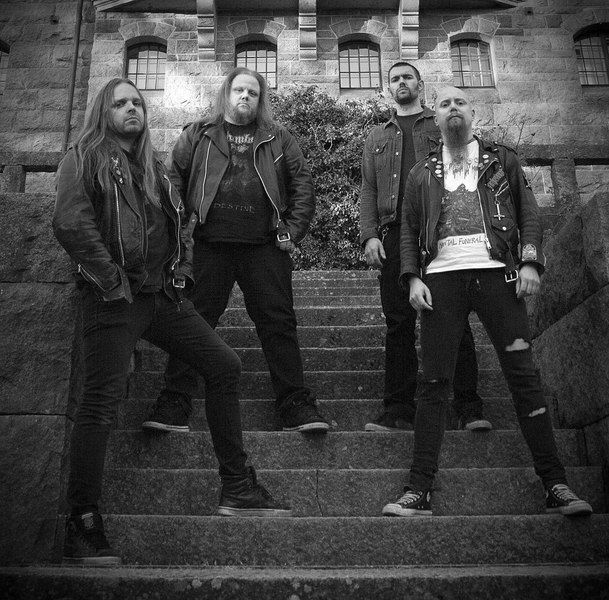 In the summer of 2011, Entrails performed at Muskelrock festival in Sweden and at Obscene Extreme Festival in the Czech Republic.In September 2011, the second album The Tomb Awaits was released featuring the rest of the songs from both demos and also with some old songs from the past mixed with some brand new ones. F.D.A. Rekotz handled the European release while Dark Descent Records from the USA did the album in North America. The reviews and feedback on The Tomb Awaits was even more massive and the album got maximum ratings on several bigger magazines and blogs.During the winter of 2011/2012, the band negotiated with several labels about a new record deal. 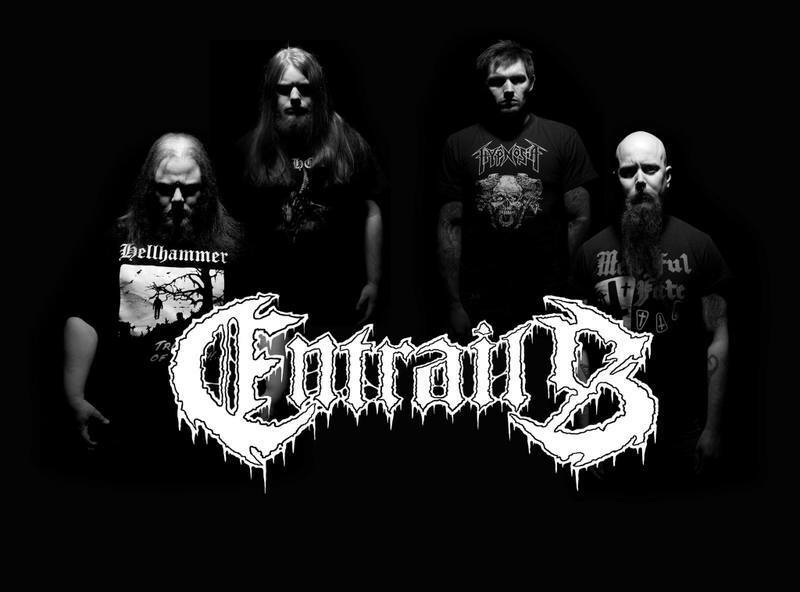 Entrails were officially signed by Metal Blade Records in March of 2012.During the negotiating process, Jimmy started working in his studio writing new songs; a few riffs from his old recordings have been recycled, but the main portion is brand new. In April, there were 13 songs ready to be rehearsed with the band. The rehearsals went well and the songs felt better and better until finally, on July 28, Entrails entered Racetrack Studios and quickly recorded the drums for 11 songs in just a few hours.In August, the boys began to perform shows, the first of which was Party San, the band’s biggest stage performance to date. The week after, Entrails went to the mighty Summer Breeze festival in Southern Germany. In September, the basic recordings for the album were done in Jimmy’s studio. 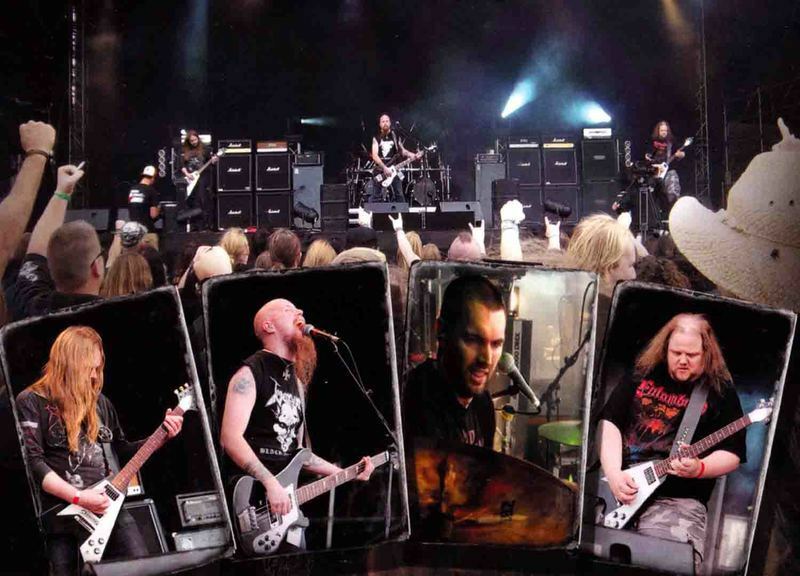 By the end of the month, the band went to Esbjerg, Denmark to do a show, and the weekend after Entrails played Hell Inside Festival in Germany. Afterwards, some more tracks could be recorded to the album. In early November, the band accepted the invitation by death metal legends Morgoth to join them for two shows: the Stromgitarrenfest in Berlin and a club show at the infamous Turock club in Essen, Germany.After this period filled with killer shows, the boys played one last show in 2012, which took place in the capital of death metal: Stockholm, Sweden. It was the first show ever for Entrails in Stockhom. Back home, the last recordings has been completed and the material was sent to Dan Swanö for mixing and mastering. 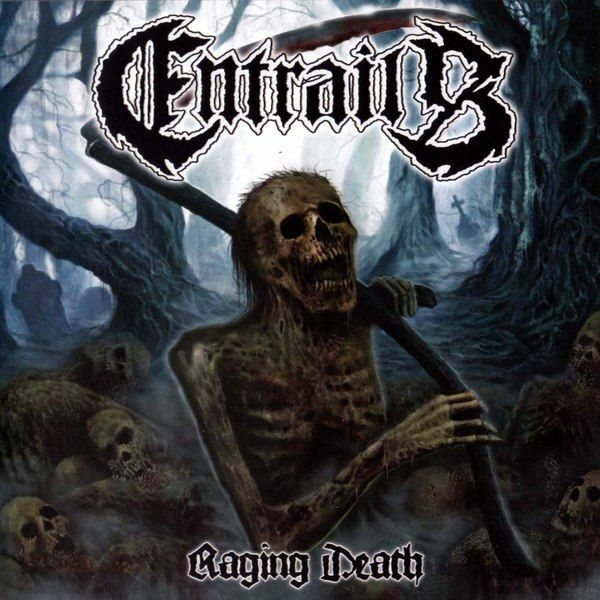 Raging Death will surely prove to be the finest Entrails album to date. 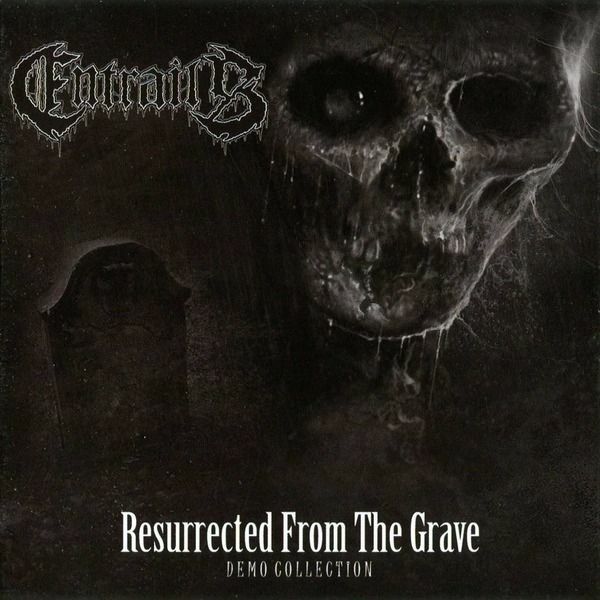 "Resurrected From The Grave - Demo Collection" contains Entrails' demo "Reborn" and "Human Decay", a total of about 18 songs are on the plate.When the two Entrails demos were first properly recorded and released in 2009, it was self-made by the band CD-Rs, which were limited to 50 units. Even then it was clear that we would let them repressing later, and now - nearly five years after the first demo "Reborn" - it's time to officially herauszuhauen the recordings via Metal Blade.Entrails guitarist Jimmy Lundqvist commented: "It's great the two demos from 2009," Reborn "and" Human Decay ", finally be able to make decent accessible. After many requests the fans, I just had to lead in the way - now or never. During our work on the next album, we re-release comes in handy, because it gives us some time for the upcoming concert and the new album! " Although Entrails was formed in the early 90s, thus belonging to the “First Wave of Old School Swedish Death Metal”, they resurrected in the year 2008 only to become an emblematic member of what can be rightly designated as the “New Wave Of Old School Swedish Death Metal” in the following years.To begin with, the bands first two recordings had power and ambience but in my opinion they sounded somewhat artificial; trying too hard to sound Old School without exploring their own style, perhaps mainly due to the use of drum programming. “Raging Death” however marks a welcoming depart because it represents a much needed improvement, with more elaborated and original songs incorporating as well a balanced technicality without losing old-schoolness.With this album, Entrails has finally managed to find its own style, mixing the horror movie themed riffs, which permeates its songs, while also rescuing much of the essence of what Old School Swedish Death is all about: a dark ambience with punkish blasting drumming, with also buzz-saw and down tuned melodic riffs all well blended with a respectable level of technical complexity.The opening track commences with a creepy sounding piano, very much like a 50s or 60s horror movie and then a very heavy buzzing riffing with growling vocals set the mood. The drumming smashes you to the ground, leaving you at the mercy of the corpses of the album cover. Then the violent riffing remerges with raspy corpse-like vocals and a Venom-like solo that will make you chill. Yes, you will rot to pieces.As we go into the middle of the record, we find the fifth song, Cadaverous Stench. This is one of the best songs I’ve heard in all of Swedish Death and it’s packed with immensely sick riffing, quicksilver drumming and corpse-like piercing vocals. And then, at the middle of it, there is an amazing melodic riff that breaks the tempo with its penetrating crying cadence. It pounds doom with every blast beat and dense riffing. The song really makes you rock and headbang. The following songs are as brutal and pounding, preventing Raging Death from lapsing into boredom.The final song, Cemetary Horrors is the way all Death Albums of this style should end, with chaotic sounds and shrieks, charging at full speed. The ending is just massive, with keyboards leading the descent into the netherworld, ending a truly remarkable album.In the end, the final verdict is a very positive one. In my opinion, this is one of the best Swedish Death and Death Metal albums I’ve ever heard. The general arrangement and the placing of the songs are adequate and it feels cohesive. It does not feel repetitive and truly it makes time fly. Standing at 45 min, it is long enough without prolonging too much and, therefore, it does not become bothersome.Both beginners and all-time Swedish Death fans should buy this.